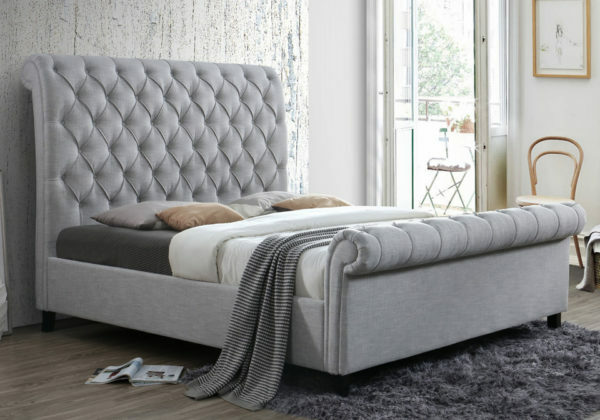 Give your bedroom a soft and inviting atmosphere with this beautifully designed Kate king upholstered bed. Both the headboard and footboard feature a scroll-shape with diamond tufting for some visual interest and depth. Furthermore, the neutral grey fabric is easily matched with, while also being extremely stylish.